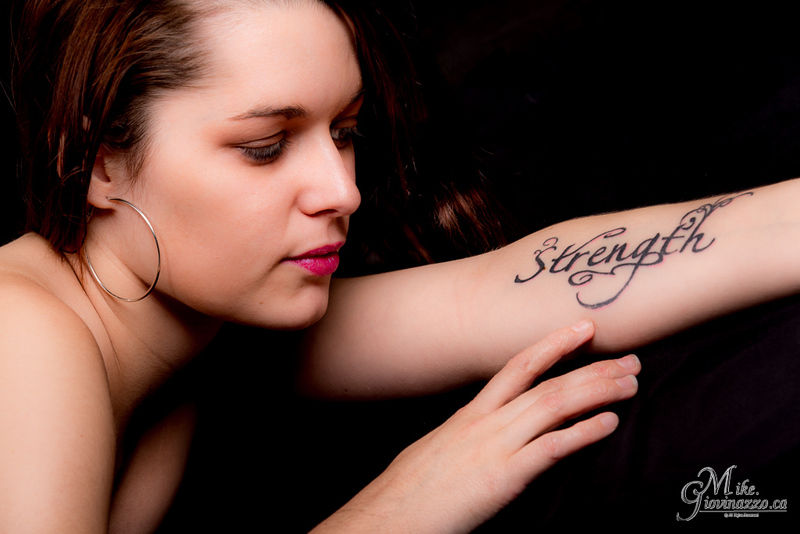 My tattoos represent personal strength and growth. If my tattoo tale can inspire even one person to move on from a toxic and abusive relationship then I would be thrilled. My 1st bad relationship goes back to my college days, when I was just 18 years old. I felt locked in a very abusive and controlling relationship. Over a period of 2 years my life was hell, yet I stuck around and we were even secretly engaged. Life however was far from normal. I could not go to beach wearing a bikini, was never allowed to hang with his male friends, when he travelled he’d come back and demand to know what I did in his absence – always 20 questions. To pass the time I wanted to model but he forbade it. His controlling manner and bad influences lead to a life of drug use. With the help and support of my family I finally left him 2 ½ year later – I was not quite 20 years old and this already had a profound impact on me, perhaps even setting the stage for relationships to come. My 2 most prominent tattoos tell this story. I have them on my back; a huge tree and a dragon. 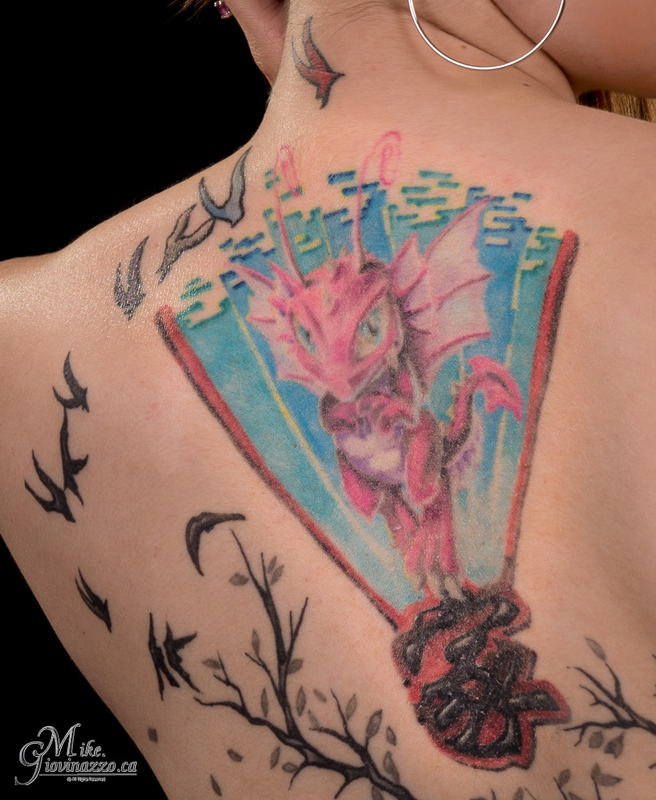 The dragon was my 1st tattoo and represents inner strength. It stands on a few Chinese symbols that represent FAMILY. They were always there to support me; my mom and I are very close. She's my rock. Without her I may well still be trapped or worse. It takes great strength to leave a relationship – even a bad one. The Tree Tattoo was started back then – it represents growth. I knew I needed to kick the drugs and heal my soul, but the process is slow. Morally bruised I jumped into yet another bad relationship. I gravitated to a 2nd fellow and this one was emotionally abusive. For 8 months he not only abused me verbally me but was cheating on me with younger teenager girls. I gathered my courage once again and left him. I then met a 3rd fellow who got me even deeper into harder drugs – not just smoking anymore, he added pills to the mix. He too was abusive and it got very serious. I was held hostage and beaten while trying to leave him. My neighbour heard screaming and called my brother. A bad brawl ensued and my brother suffered stitches on his lip and I ended up with a fractured arm. If not for him and the 911 call I would have been hospitalised in much worse shape. I had to press charges on 7 counts. Going to court and retelling the story was very hard and lasted for nearly a year and a half. The hardest part was his constant attempts to try and come back into my life. My mom helped me through the detox process at her home. We’d take long walks in the bush and she’d help when I was ill. I eventually moved to a new city determined to start fresh. Therapy has suggested I wanted to try and FIX these guys. Perhaps my relationships are linked to a father who was present in his own way, but not in the manner a little girl needed. The part that really matters is that like the tree I am maturing and growing. My current relationship is a positive one with an old friend I’ve known since I was 12. My self-esteem and health are vastly improving as I branch out, reach for the sky and embrace a new life.